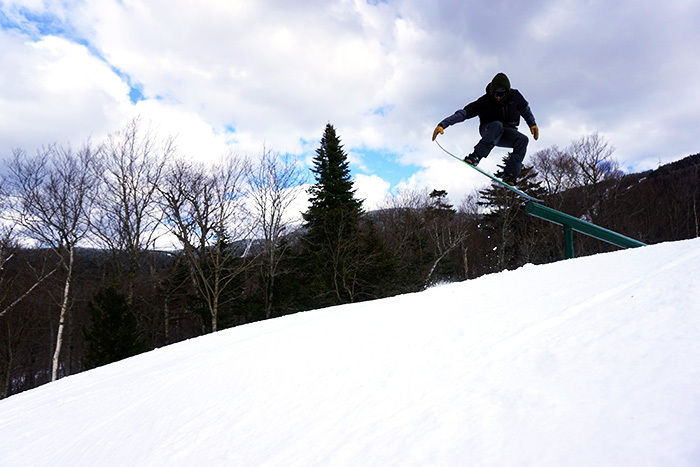 Last week at Bolton Valley, winter had yet to return - so it was park play all the way. Bob the park director showed our crew what was on the menu. Chef bob likes to be hands on, which we appreciate. Bolton is known for being authentic. The vibe is definitely not processed or pasteurized. It's a family owned hill, and that is a very rare thing nowadays. Naturally, riding around with their instructors was very chill. The fire-tower at the top of Vista was climbed, and the view was spectacular. Then more teachers of the snow rallied for the bouncing and beers. Another marvelous day in the Green Mountains was had. Bolton Valley has night skiing with a super sweet view of Burlington all lit up. This resort was established in 1966, this was also the year of the first Acid Test. What's that? We don't know. 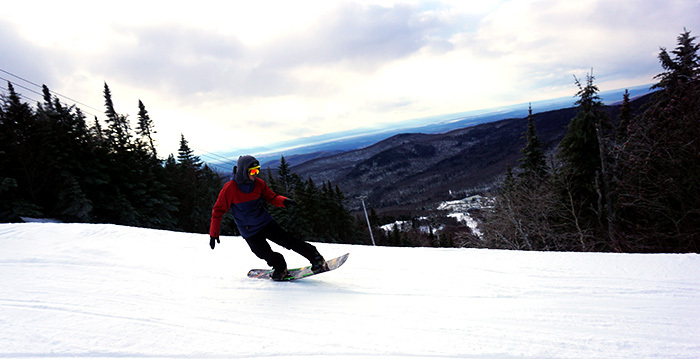 Lift tickets are $25 every Monday, and if you go to the college it's $25 on Wed. nights too. Bolton has it's own backcountry skiing program. You can rent a whole touring system from them and hire a guide. Thank you so much for having us Bolton Valley! We'll be back to check out the touring situation!